It was the hottest hellfire sermon I have ever heard in my life. I was a young man studying in university to become an architect. In my class was a young man from the Salvation Army named Bruce, who invited me to an evangelistic meeting in a downtown Presbyterian Church. At the Saturday night meeting, an evangelist from Scotland preached a hellfire sermon. At the time I was active in a small Methodist Church; I attended every Sunday and taught Sunday School. I believed the basic Biblical tenets of the Christian faith about God and Jesus, but I had not had a personal born again experience of Jesus as Savior and Lord. It was all in my head, but not in my heart. Maybe, I needed to be shaken up by such a sermon. At the end of the service, when the altar call was given, I responded, making my way to the front of the church. There I experienced what the Bible calls being born again; It was then that I began a new life in Christ. Hellfire sermons have not been popular in recent times, as preachers instead seem to go with ‘feel good’ sermons. Some preachers feel it is not a message that people can relate to and would rather preach what they consider a more positive message, emphasizing God’s goodness, love, and mercy. Across the centuries, the traditional teaching on hell has been challenged by leaders and scholars, even going back to the early days of the church. In recent times, a viewpoint has developed called universalism, which declares that eventually all souls will be reconciled to God and admitted to heaven. This view believes that the idea of eternal hell is against the nature of a loving God. This viewpoint has come to the forefront in recent times, first with the release of the best-selling book “The Shack,” and then the film of the same name, based on the book. Most people who have read the book or seen the film probably did not realize all that was behind it. I have read the book “The Shack” by William P. Young, but I have no desire to see the film. I understand the film is very attractive and creative in the way that it is presented. The story is about Mack Phillips, who lost his bubbly six-year-old daughter on a camping trip when she is killed by a serial killer, who hid her body. Mack faces the issues of grief and guilt. He received an invitation at his mailbox to meet with God, depicted in the film as three humanized persons, at the shack, hence the name for the book and the film. The film addresses some deep heart rendering issues about “suffering, evil, shame, judgment and forgiveness without airbrushing them,’ with questions like, “If God is good, then why do people suffer?” Leaving aside the legitimate criticism of personifying God in the image of man or woman, let us look at the main issues which lie behind both this book and film. Someone once wrote, “That one can understand a book better by knowing the author.” The author, William P. Young, at one time, belonged to a Christian think tank called M3 Forum, where many topics were discussed. In 2004, he submitted a paper, in which he embraced “universal reconciliation” and rejected his earlier evangelical position. What then is universalism? Christian universalism holds to the view that an eternal hell does not exist because it is against the nature and character of a loving God. Rather, the belief is that everyone will be saved (and in some cases that means the devil and his agents will be reconciled to God). Those who project this belief, particularly appeal to the “all” passages of Scripture, such at I Timothy 2:4, which declares that God, our Savior “desires all men to be saved and to come to the knowledge of the truth.” Then in verse 6, “who (Jesus) gave Himself as a ransom for all.” The problem that they ignore is they fail to acknowledge other Scriptures that bring a more balanced picture to it all – that the Word of God declares that we need to repent and receive by faith God’s gift of salvation through Christ’s death on the cross; that salvation is not automatic and can be rejected. For obvious reasons, I cannot recommend “The Shack.” I realize that some (maybe many) may look at this issue differently to me. Nevertheless, I present these thoughts for your consideration and I welcome your responses. In the next Langstaff Letter, I will be looking at the topic of hell. • The book ‘Burning Down the Shack’ – by James B. De Young. James B. De Young is a professor of New Testament Language and Literature at Western Seminary, Portland, OR, where he has taught for thirty-four years, seeking to extend Christian values to the community of Portland. He has served as chairman of the Hermeneutics section within the Evangelical Theological Society, and he’s published several books. Together with William P Young (author of “The Shack”), they co-founded a Portland, Oregon-based Christian think tank in 1997 called the M3 Forum. 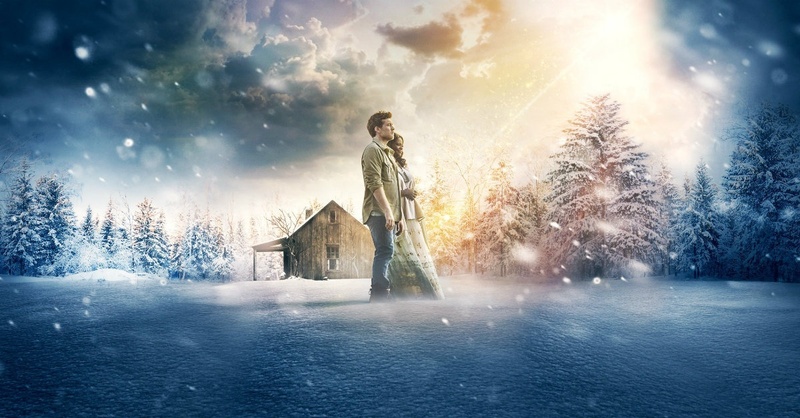 Burning Down “The Shack” thus offers an assessment from a capable Christian thinker with unique insights into the heart and mind of The Shack creator. Oh you are right on Pastor Alan! My Pastor in Atlanta, Michael Youseff gave an excellent teaching on the Shack the book years ago. And he also spoke on the movie recently and said the same as you. Universalism everyone saved etc. christians are so deceived today by feel good movies , books, and seeker friendly church. I can’t wait to read your next message on Hell!, praise a God for your teaching truth. I wasn’t aware of the movie’s author or background. However an elderly gentleman here at my Senior facility has offered frequent Tuesday runs to the ICON theatre for $5 show with free popcorn. We have seen a few movies together, this one being the most recent. I was able to discuss my beliefs and share testimonies of the Father’s intervention in my life. He was a pastor, but not saved. Chose to forgo theology and put effort into medical rehap and helping others. Said he didn’t believe in sin, but listened to what I had to say. I share this point what Jesus said about adultery in one’s heart if lusting after a woman for an example. Also spoke of Nicodemus and Jesus talk about being born again. He seemed to get the point as he thought I see him as not saved. He wrote some thesis years ago, and said that had he seen this movie back then he may have written it differently. I really believe the Lord used my relationship and walk with the Lord to challenge him, as he was not offended and I believe God’s hand is on him. God can use anything. But I agree one must be careful of promoting universalism. I didn’t pick that up..was more focused on the trinity and forgiveness aspects of the film. Perhaps my own understanding of scripture read into the movie the truths I know. I saw it that way. I liked the way God was depicted as a loving Father who is not the author of evil and bad things that happen to us. The devil was not mentioned, but needing to forgive was strongly emphasized.